Curiosity- You want your audience to be questioning your brand or your product. For that, your posts need to have the factor of curiosity in them. You can ask a thought-provoking question, use shocking statements, make a statement that goes against conventional wisdom and many more. a) The one way to drive traffic is to create confusion and frustration amongst the audience. But then again, you don’t want them to develop a negative perception of your brand. So, be specific and more detailed so that you can cover the topic. b) Drive desire among your audience. Even if they don’t need your product make them feel as they really do. Ask them what they are missing? What is the desire or benefit that your customer will achieve? Get deeper with your audience. Let them ask questions and you can clarify their doubts. Add the three words "so you can" or "so that" to the end of any benefit you already have. Just be aware that with Facebook's stringent ad policy, sometimes using benefit-driven statements can violate ad policies and get your ads disapproved. Always read carefully through the Ad Policy section online at Facebook. Prove your credibility to your audience. Ask yourself why do want people to listen to you? What is the position of your business in the marketplace? You want clarity in the very first phase and the more you grow the more you’ll get to experience in the ad industry. You want your audience to get surprised or have a sudden realization. That’s how you put the surprise element in your ad. Like you bust a myth which was just a just a common perception or gives a sudden revelation to surprise your followers. Make them aware of something they didn't know, something that will give them an "Aha!" moment? Compiling all this into an ad will be quite difficult. I’d suggest rather have a copy or a powerful video to indicate the surprise element. What it does is that your audience develops a feeling of trust for your brand. It makes them easy going they’d even share your ad. 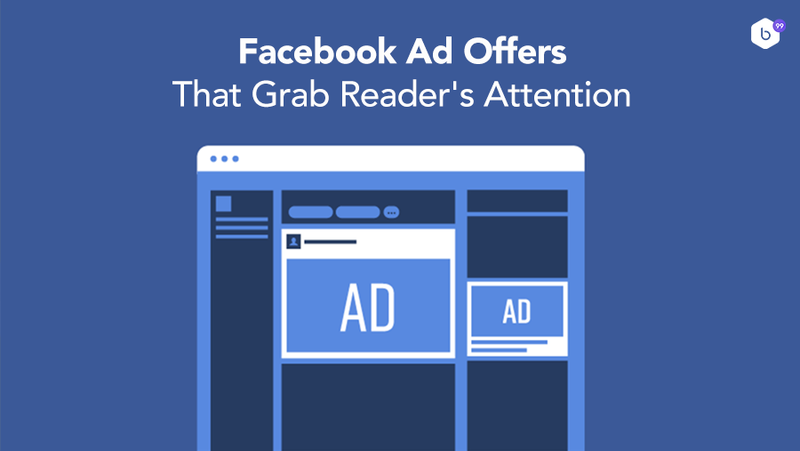 And the more shareable your ad is, the more Facebook rewards you with cheaper clicks, cheaper impressions, cheaper views, more impressions, and higher ROI. What action do you want your audiences to take next? How can you have natural Call to Actions woven into your ad copy or into a video? Make your point clear what do you want your followers to do next or they’d be confused and they’d probably give up on you. a) When we are proceeding with so much of experiments it’s obvious that not all of them will stand out. Focus on which strategy does well and how can you make that better. Like if an ad copy is quite long and descriptive but it ends up catching your audience’s trust that’s a big progress isn’t it? We are BEYOND99 a strategic, tactical marketing agency driven by data and focused on positive results. At BEYOND99, people are connected to your business through means of digital media marketing. Its services help you push your limits as a marketer by providing you guidance, connections, and execution for business growth. The main services comprise of Online Advertising, Performance Marketing, Social Media Marketing, Website & eCommerce Marketing, Mobile App Marketing, etc. Contact us TODAY!